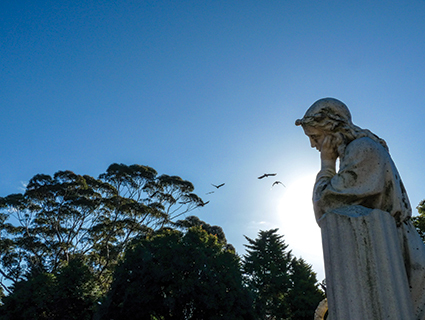 Rookwood Cemetery has operated continuously since 1867, making it one of the oldest working cemeteries in Australia. Today Rookwood serves as a significant and fascinating source of Australian history, dating from Victorian to more recent times. Rookwood General Cemeteries Reserve Trust (RGCRT) acknowledges the Dharug people as the traditional custodians of the land upon which Rookwood Cemetery is located. 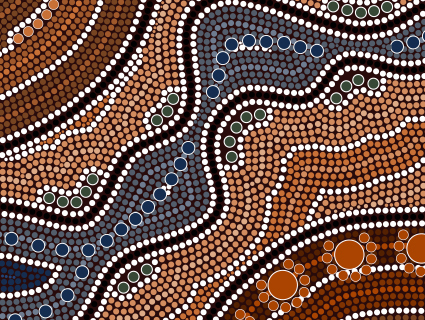 The Dharug people are part of the oldest, continuous culture in the world, and we formally pay respect to their elders, both past and present. 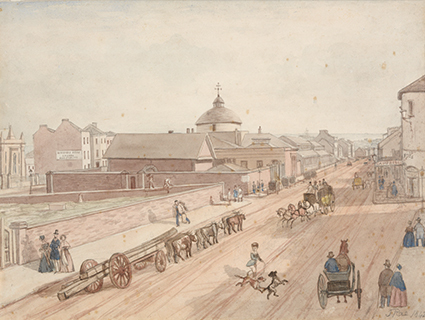 Sydney’s first cemetery, known as the Old Burial Ground, was situated where Sydney Town Hall stands today. This cemetery served the colony up until 1820 when it was replaced by the Devonshire Street Cemetery, located where Sydney’s Central Station now stands. By the early 1840s, this burial ground was becoming overcrowded and the need for a new cemetery was apparent. In 1860, an advertisement appeared in the Government Gazette seeking land for this purpose, to be located between Sydney and Parramatta. 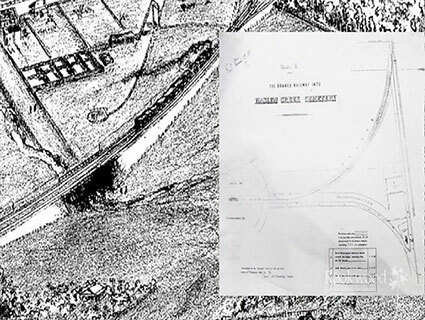 In 1862, the government purchased 200 acres of land at Haslem’s Creek from Messrs Cohen and Benjamin, for which they received the sum of ten pounds per acre. With the passing of the Necropolis Act of 1867, the Necropolis at Haslem’s Creek was established. The first burial reportedly took place in 1867, when the body of John Whalan, an 18-year-old pauper, was laid to rest. Residents of Haslem’s Creek began agitating for a change of name of their suburb to remove its association with the cemetery. A local resident, Mr Slee, suggested naming the suburb, Rookwood, saying, “…Rookwood is a pleasant name, and a very appropriate one in this case, for there are many crows in the neighbourhood.” The local railway station and suburb were renamed Rookwood and were commonly known by this name by 1878. 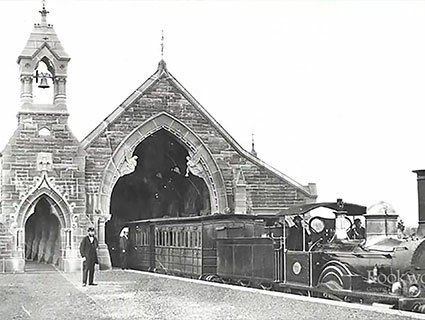 By 1913, Rookwood’s residents complained that once again, their suburb was too closely associated with the cemetery, which had gradually adopted the name of the railway station. The suburb’s name was again changed, this time to Lidcombe, a combination of the names of two former mayors of the town, Lidbury and Larcombe. The cemetery continued to be known as Rookwood. 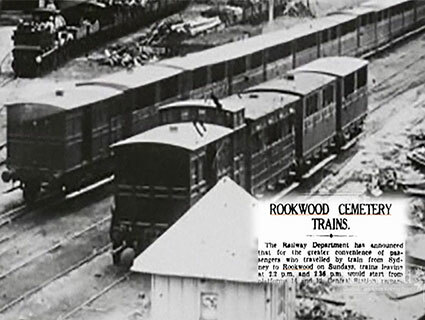 Rookwood was a significant part of the Sydney rail network, with special funeral trains running from purpose designed “receiving houses” beginning at Regent Street in the city and ending in the centre of Rookwood. Twice daily services operated and tickets were one shilling each way, however, corpses travelled free. 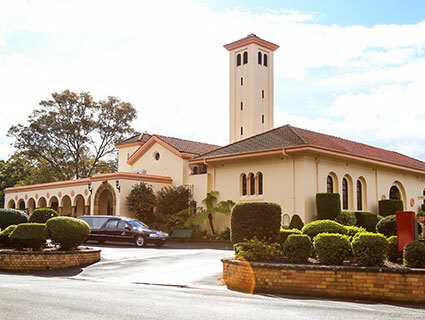 Rookwood Crematorium opened in 1925 and remains the oldest operating crematorium in Australia. Australia’s participation in two world wars during these years is represented in the many funerals and burials of those who served. The Australian War Graves section was established in 1945, featuring more than 15,000 rose bushes. In 1948 – after 80 years of service – the historic Mortuary Station ceased operations, due largely to the rise of motor vehicles as a form of transport. Built from Pyrmont sandstone, the station at Rookwood had been praised for its beautiful ornamentation when it was originally built. It gradually fell into disrepair and was eventually sold in 1951 to Reverend Mr Buckle for 100 pounds. It was dismantled brick by brick and transported to Canberra in 83 semi-trailers, where it was converted into the All Saints Church of England in Ainslie, Canberra. The idea of storing genealogical information on a computer database was discussed as a possibility in 1981. A call went out for volunteers from the Society of Australian Genealogists to assist with the process of transcribing information from Rookwood Cemetery’s headstones, and around 90 people gathered to assist with what became known as the “Rookwood Project”. 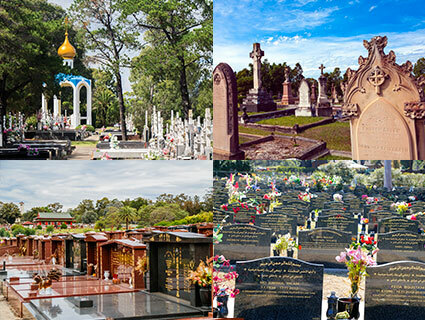 With NSW Cemetery legislation reforms, Rookwood General Cemetery was established in 2012. This united the Anglican, General, Independent, Jewish and Muslim Trusts that had formerly managed Rookwood. 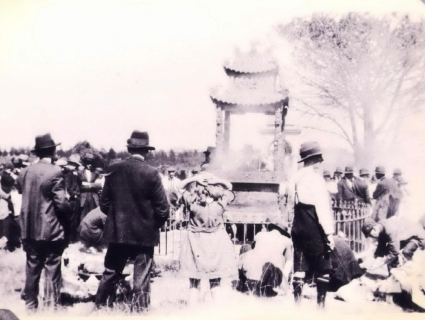 Each year over 1,900 interments and commemorations are performed, representing over 90 different religious and cultural groups. 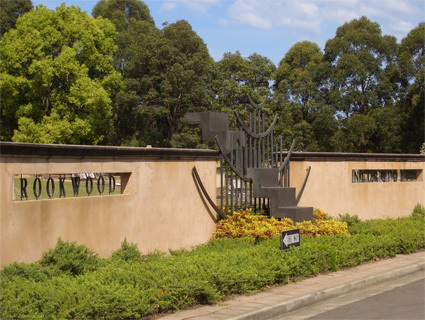 Our role is to safeguard and celebrate the important heritage of Rookwood Cemetery, while also ensuring its viability and relevance to modern life. As a fascinating and iconic place, we believe a broader range of our community would find that Rookwood has much to offer. 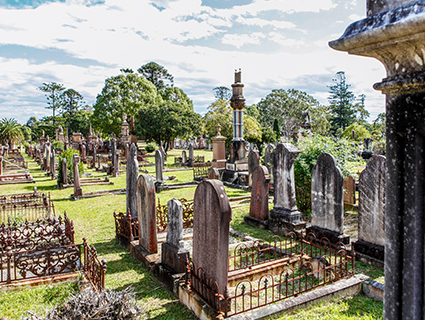 As such, Rookwood General Cemetery has plans to cater to a wider audience by establishing genealogy hubs, upgrading ceremonial venues and much more. We look forward to honouring the past while adding new ways for people to engage with Rookwood in the years ahead. This film tells the story of Rookwood from inception to present day. The film’s title is drawn from a traditional song that is a metaphor for the cycle of birth and death that is representative of life. The film celebrates Rookwood's history of partnerships, its role as Sydney's “sleeping city” and its ongoing commitment to being representative of the needs and interests of our diverse community. 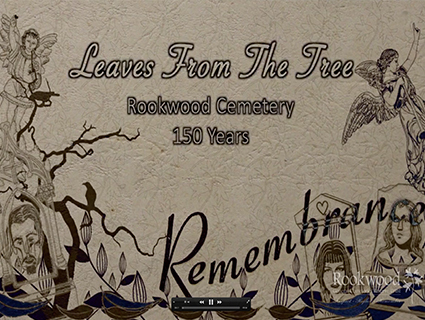 To learn more about the rich and interesting history of Rookwood Cemetery, please contact us.